The JC is a killer mid-sized fixed blade that is a great defensive knife as well as suited to more every day needs. 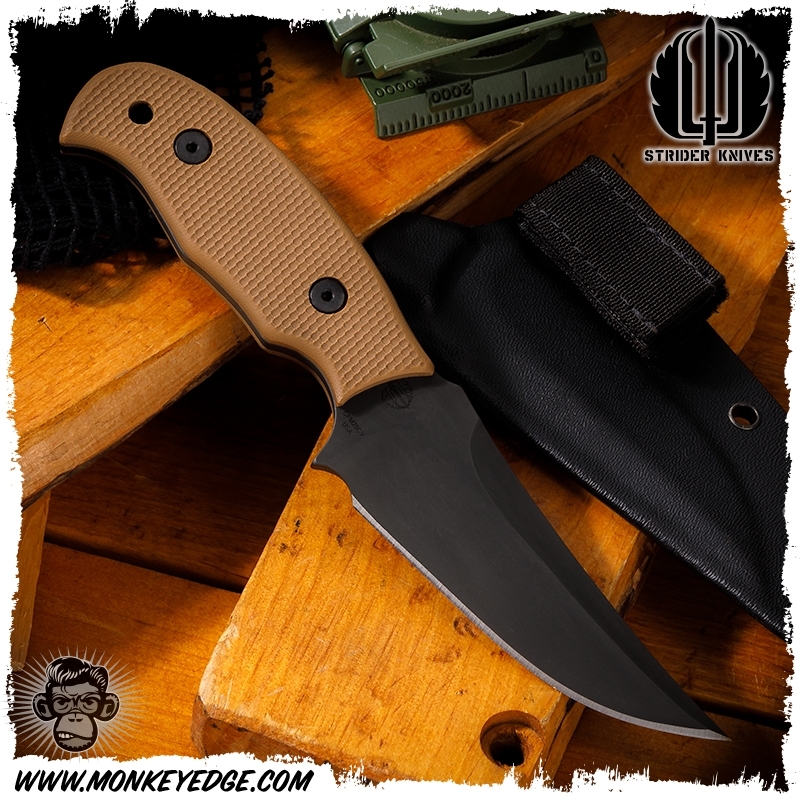 The double hollow ground upswept Persian-esque blade profile features an upper swedge, and just looks fast and mean! The blade flows into the radial handle. That handle profile has a guarded front as well as a 'hooked' pommel that really locks your hand in place. The JC feels awesome in a regular, reverse, and even a thrusting grip style, making it a very maneuverable and aggressive profile. The thumb rise lends to better control in normal use and finer work. 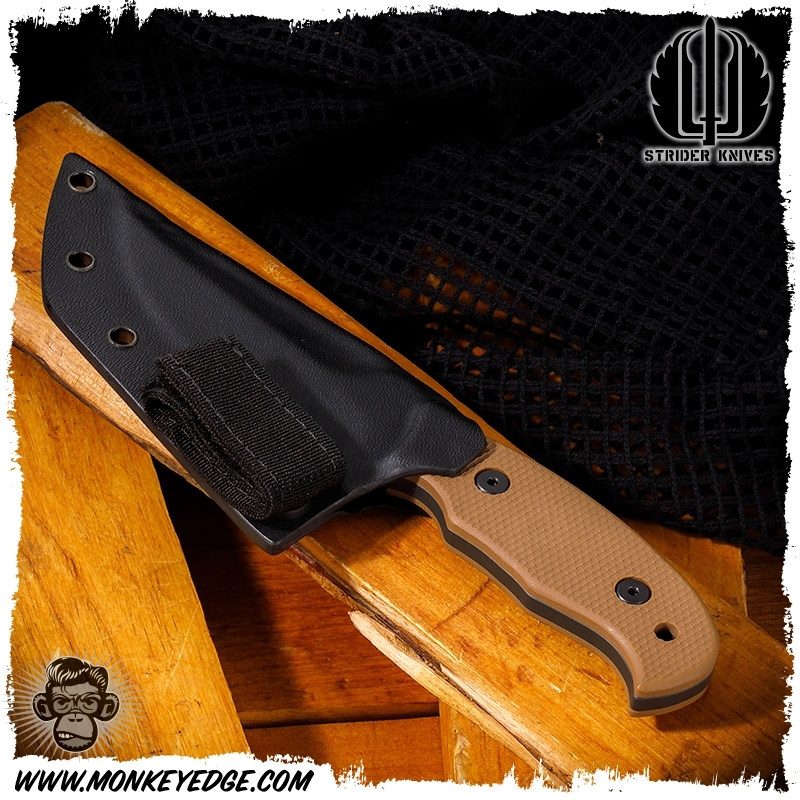 Comes with a molded kydex sheath with velcro loop and ready for standard mounting solutions. The Blade: Double hollow ground with black oxide finish. 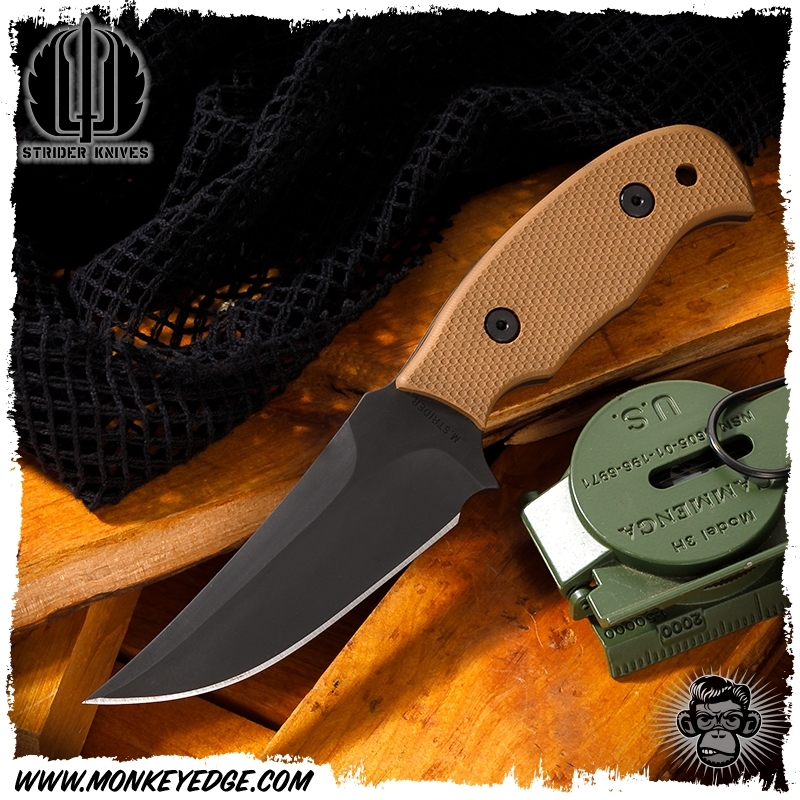 The Handle: Coyote G10 scales with peel ply textured flats.